A delightful story penned by Rebecca DeMarino of life in England in the middle 1600’s. What happens in the New Colonies? Great adventure, loss, heartache and victory in the Lord at every turn of the page. I connected on an emtional level with the characters. Wonderful book which I believe is worth reading. Plus, this book is the first in the Southold Chronicles series, so now is the perfect time to jump in and read this book. Also, this book does not read like a debut novel from new author, Rebecca DeMarino. It reads like the author is a seasoned professional writer. I can't wait to read the next book in this series. 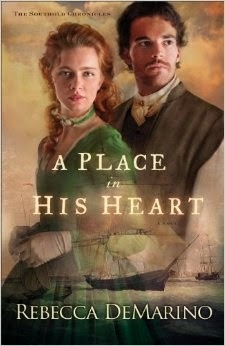 A Place in His Heart has won a place in my heart.